Getting an annual flu vaccine is the first and best available way to protect yourself and your family from flu and its potentially serious complications. 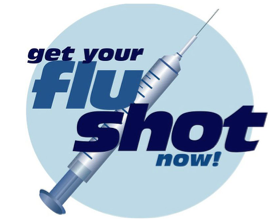 Flu vaccination can reduce flu illnesses, doctors’ visits, and missed work and school due to flu, as well as prevent flu-related hospitalizations. Flu vaccine also has been shown to significantly reduce a child’s risk of dying from influenza. The more people who get vaccinated, the more people will be protected from flu, including older people, young children, pregnant women and people with certain long-term health problems who are more vulnerable to serious flu illness.